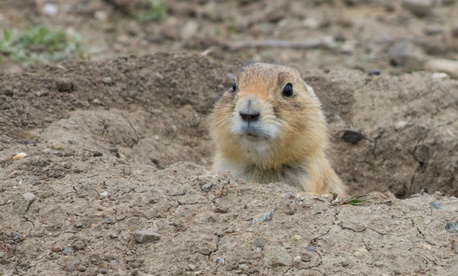 Federal agencies generally followed the rules and refrained from exerting political pressure when converting appointees into career positions, according to a new report, which audited the very few cases of “burrowing in” since 2010. The Office of Personnel Management approved 78 conversions of political appointees between Jan. 1, 2010, and March 17, 2016, according to the Government Accountability Office, as is required by federal law. Agencies converted seven employees without approval, but OPM conducted post-appointment reviews for the cases in which those workers were still on the rolls. In all of those cases, OPM retroactively denied the conversions. All told, OPM examined 99 conversion requests and denied 21 of them over the six-year period at the 32 agencies GAO reviewed. The causes for those denials included bypassing veterans preference, using improper qualification standards, rigging the application process to ensure a targeted appointee was chosen and absence of “critical documentation.” In three cases, the Office of Special Counsel subsequently found agency officials violated civil service laws in requesting the conversion. OSC is still investigating two more cases. OPM failed to maintain adequate evidence in its case files in 70 percent of the conversions it did approve, GAO found. The auditors had to go back to agencies to verify the appointments were appropriate, but ultimately found no wrongdoing. “GAO’s review of OPM’s case files and additional documentation from agencies supported OPM’s conclusion that each of these conversions appeared to be free of political influence and complied with merit system principles,” the auditors said. OPM in 2010 announced that agencies would need its permission before giving current or recent political appointees competitive or nonpolitical excepted service positions. The new policy applied to jobs at all levels. Previously, the personnel agency oversaw such moves only during election years, unless the appointees were transferring to Senior Executive Service positions. A 2015 law also requires OPM to verify that approved conversions actually occur. In August, then-acting OPM Director Beth Cobert sent a memorandum to agencies reminding them of their responsibilities in hiring political appointees and reporting their conversions. GAO has yet to identify how many political appointees burrowed into career jobs during the waning months of the Obama administration, an area of particular concern to President Trump and his transition team. New Jersey Gov. Chris Christie, who at the time was leading Donald Trump’s transition effort, vowed last year to change civil service laws if necessary to root out any holdovers. The Homeland Security Department approved the most conversions between 2010 and early 2016, with nine. The departments of Justice, Defense and Treasury all approved at least five appointments over that span. Nearly all the political appointees converted into career jobs came from Schedule C—excepted service, appointed workers who serve at the pleasure of the agency head—or non-career Senior Executive Service position. The approval process for the rare cases of political-to-career conversions is complicated, involving several steps at both the employee’s agency, OPM field offices, OPM headquarters and post-approval reporting from the agency. Sen. Ron Johnson, R-Wis., last asked OPM for weekly updates on all conversion requests throughout the post-election transition period.